In your home or office, Draper's Salara 60 x 80" Plug & Play Front Projection Screen (Matte White ) makes a design statement. No wiring is necessary for this unique projection screen. It comes with a 10' power cord as well as a built-in IR (infrared) receiver and IR remote. 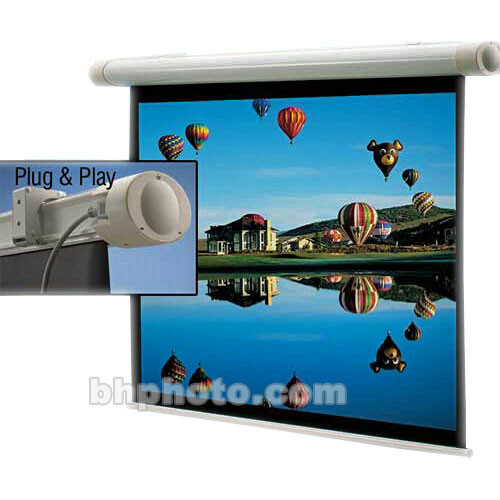 136008 Salara Plug & Play Front Projection Screen (60 x 80") is rated 5.0 out of 5 by 1. Rated 5 out of 5 by Anonymous from I purchased the Salara Plug&Play Screen I purchased the Salara Plug&Play Screen, I could not be happier with this unit. Nice stuff.